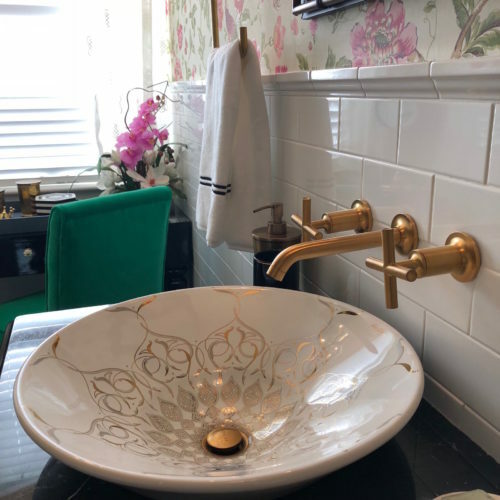 “We wanted to achieve an elegant, old-world feel that was suited to the house’s age, but still wanted to have a fresh and modern feel,” said Nina Green, Principal Interior Designer for NGD Interiors. This massive, multi-million dollar restoration of the 1911, John Forsythe house in Cape May, took over two years to complete. Nina Green’s designs incorporated custom wallpaper from UK designer Carl Robinson, imported French Fabrics from Casamance, custom-made lighting from Charles Edwards in London, Cynthia Rowley Collection Furniture, and small finishing touches from Portobello Road in London, chosen on-location by Nina Green herself. 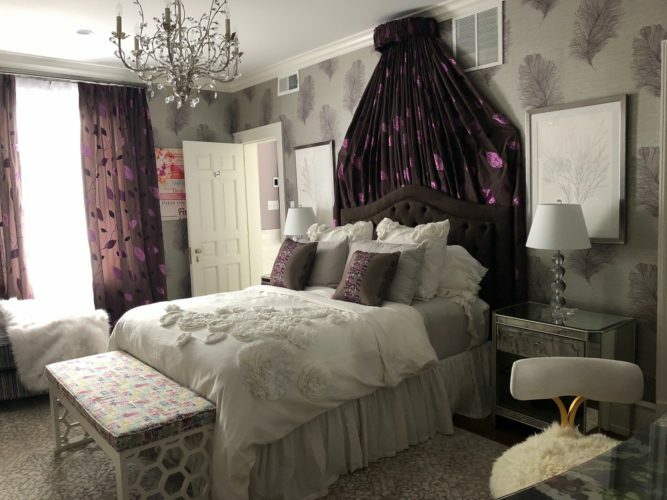 “…Do not miss the lavender and gray Mermaid bedroom and bath designed by Nina Green of NGD Interiors. Nina left no corner of this room untouched …Talk about attention to detail.” – Jessica Leeburg, CapeMay.com. NGD Interiors offers complete interior design and build solutions for residential and commercial spaces. NGD Interiors offers clients the unique ability to view their projects in Virtual Reality and 3D Photorealistic Renderings, complete with fabric, lighting, and accessory selections, before ever purchasing a product. NGD Interiors is an award-winning, Bucks County Interior Design Firm having won “Best of Houzz” for Service and “Best of Houzz” for Design and has been featured on HGTV.com, CapeMay.com, NKBA Publications and KB&B Magazine.